There are many lessons to be learned from the law firm, and we sat down with Mischelle Weedman-Davis, Director of Client Relations and Operations for Davis Law Group, of Seattle, Washington, to find out how she has been able to position her husband and their law firm as the go-to source for local and national news involving accidents, wrongful deaths, and serious injuries. The information we got from Mischelle will challenge the way you think about breaking news and your role as an expert in your field. Before we share Mischelle’s words of attorney marketing wisdom, it's important that you know exactly how successful she has been. Mischelle’s strategy is so effective that CNN, Fox, NBC, and ABC have all looked to her husband, Attorney Chris Davis, as an expert in his field. 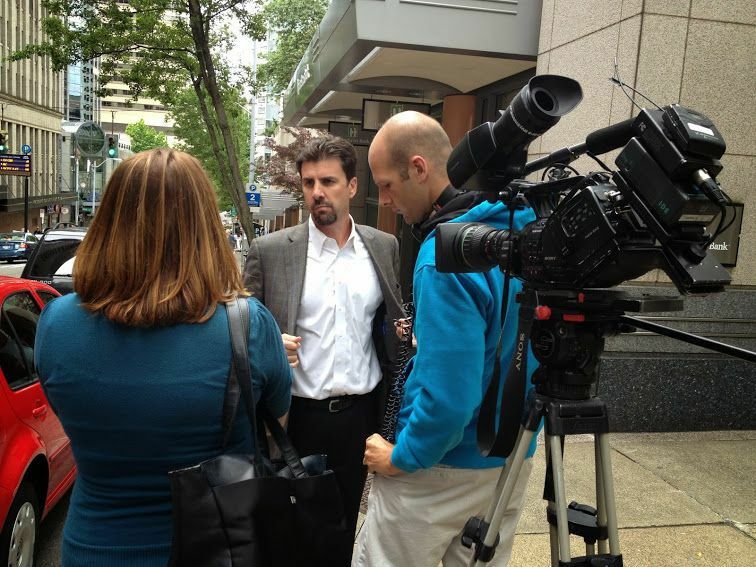 Chris has been interviewed on both national and local television, along with numerous print and radio interviews. This kind of exposure is priceless, as potential clients who watch Chris' interviews—either live, on YouTube, or on the Davis Law Group website—see that he is an expert in his field. After all, he's been on the news more than 30 times, and he must know his stuff. So how can you get the attention of local media? 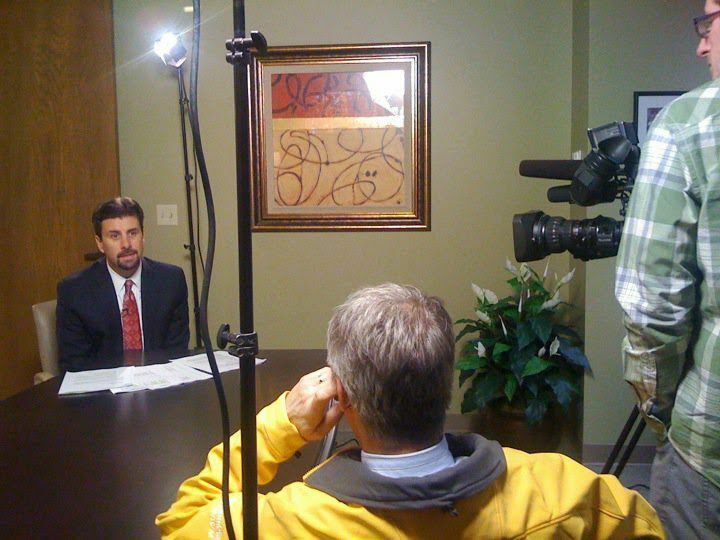 How can you get news stations to sit up and take notice of your law firm? We asked Mischelle these very questions, and her answers will help you take the steps necessary to understand your local news outlets, build relationships, and get the exposure you need to position yourself as a valuable news resource. Know that the media success of the Davis Law Group didn't happen overnight, and it wasn't easy to achieve. Getting this kind of exposure takes a lot of work. There are no shortcuts or ways to beat the system. "You should do at least one month of research before you pick up the phone and pitch your story," advises Mischelle. This research will allow you to understand which news outlet is most likely to take your story, who you need to speak with at the news station, and what you have to offer. Without this information, your pitch will lack authority and you will not get on the air. Before anything else, you need to understand how your local news culture works. For example, many times, one news station owns and runs several other media outlets. A quick internet search will reveal which entity owns another. Use this information to your benefit. When you offer a story to a news station, it carries over to any news outlets under their umbrella. So, if you offer your story to a station that only owns one radio station instead of a news station that owns the local newspaper and three talk radio stations, you've missed out on a possible large-scale media blitz. Tip: "I suggest making a family tree of media relationships in your area," suggests Mischelle. "Find out which news stations own local radio stations and make note of this." This information will be invaluable, allowing you to better understand how news gets disseminated in your area and guiding your pi tching efforts. Just as you have practice areas, each newspaper, radio, and television station has a focus. It's your job to find out what each station’s agenda is. For example, if Channel 4 News is focused on health and fitness, you'll want to pitch stories that fall along these lines. So, if you're a family law attorney, you may want to pitch an idea that centers on protecting children's emotional health during a divorce. Tip: Most of the time, a station’s focus can be found within their website. If you can't find it there, call the sales department at the station and ask. The salespeople are often more than happy to answer your questions. Never be afraid to ask for information. "You need to not be afraid to reach out to news outlets. Attorneys are scared to do this, my husband was scared to do this, but you have to," said Mischelle. "Local news stations need fresh, exclusive stories, they are desperate for them. As attorneys we have something they want; we are the gatekeepers of the stories." Do you have a face for video? Do you have a good on-camera presence? You can know everything there is to know about oil rig accidents, but unless you can prove that you can handle yourself in front of a video camera, news directors may not take a chance on you. Start preparing your site and social media accounts now for a potential news appearance. If you haven't embraced video, it's time. Be sure all video on your site is high quality and showcases your ability to speak to an audience. Tip: What if you don't have a face for TV or know that each time you get in front of a video camera sweat pours down your brow and you stumble over your words? Mischelle recommends focusing your efforts on radio and print. Use your local media family tree to see which radio stations and newspapers—either online or print—are connected, and pitch ideas for print or radio stories instead of TV appearances. Most people assume that the news anchors are the people who determine what stories they cover. However, this is rarely the case. While some anchors—namely those who report on location—are responsible for the news they cover, most have little-to-no say. Tip: More than likely, you will need to speak with a news director or assignment editor. Each station is different, so before you call, check the stations' website for information on how to pitch an idea. Most stations will have an easy-to-follow procedure. Now that you've established who is responsible for selecting news stories at each of your local stations—particularly those with a focus that most closely matches yours—it's time to reach out. Have a clear idea of the story you are pitching and your unique perspective as an attorney. You'll need to sell your idea and sell yourself as an expert in your field. Tip: Be sure to make it clear that the news station in question will have exclusive rights to your story. They will want to know that they will have the story first and that other stations won't be able to interview you. We hope that, with the help of Mischelle, we have inspired you to take the leap and pitch an idea to your local media outlets. The benefits of being on TV, print, and radio and being seen as an expert in your field are immeasurable and will carry on long after your segment airs. 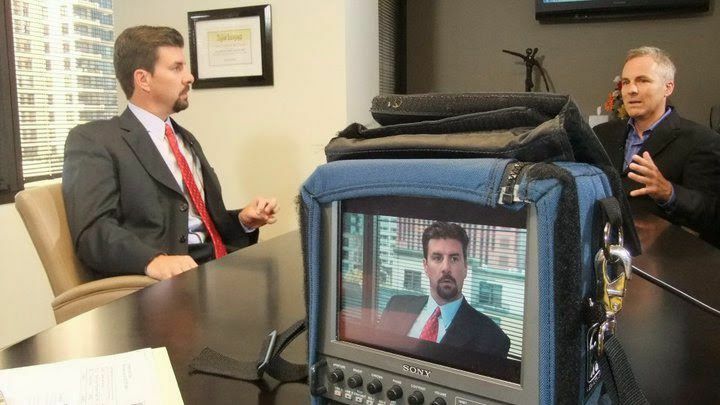 For more advice on attorney web marketing videos, breaking news, and attorney SEO strategy, call 888.886.0939. We can help you not only win your local market, but blow away your competition.